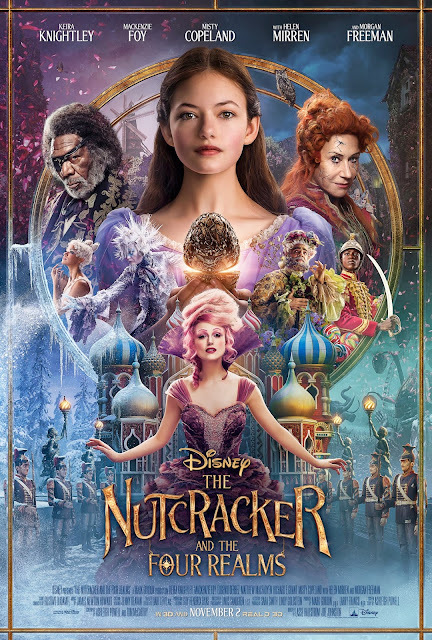 The final trailer for The Nutcracker and the Four Realms was just released and this looks amazing. Watch the trailer below and see the magic for yourself. Fun Fact: E.T.A. Hoffmann penned “The Nutcracker and the Mouse King” in 1816. Alexandre Dumas Père’s subsequent adaptation, “The Nutcracker,” was set to Tchaikovsky’s music and the resulting ballet was commissioned in 1891 by the director of the Russian Imperial Theatres. Premiering a week before Christmas in 1892, the fairytale ballet—which takes place on Christmas Eve—became a holiday tradition around the world. The New York City Ballet first performed George Balanchine’s “Nutcracker” in 1954. Get ready for The Nutcracker and the Four Realms when it is released November 2nd. Captain Marvel Official Trailer is Here! Are You Ready for the Nintendo Labo Vehicle Kit?